I Wear My Sunglasses at Night. And During the Day. Afternoon, Too. I know what you’ve been thinking. As much as the Piper loves all things rainbow, I’ve been neglecting one very important accessory. You’ve heard from Sissy in “A Rainbow of Fruit Flavors” about Piper’s love of rainbow dresses. You know that Piper’s parachute would be rainbow colored. In fact, just for fun, I typed in “rainbow” in the little search engine at the top of the blog to see how many times I’ve written about Piper’s obsession with all things rainbow. It’s too embarrassing to reveal. You’ll just have to do it yourself. But still, something was missing, wasn’t? You’ll probably sleep better tonight knowing that the rainbow sunglasses have been procured. Whew. 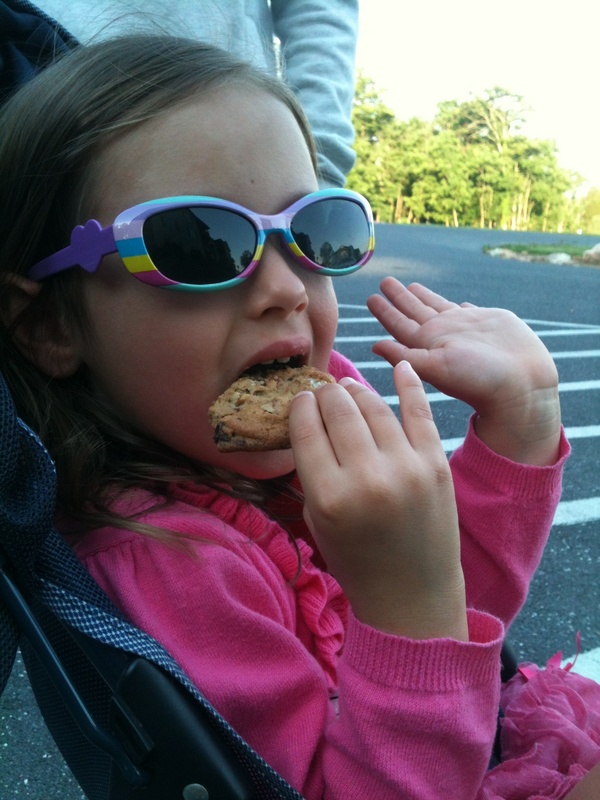 This entry was posted in Daily Dharma and tagged humor, parenting, piperism, rainbow dresses, rainbow sunglasses, rainbows by melissa.scholes.young. Bookmark the permalink.